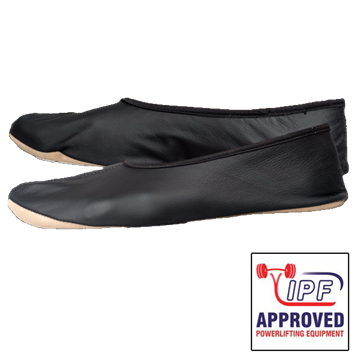 High quality, IPF approved. 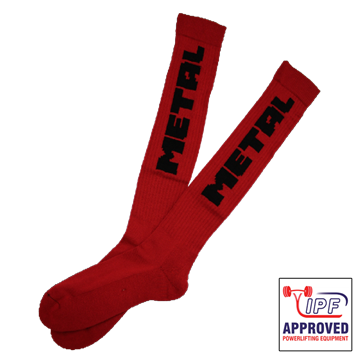 80% cotton, 15% polyamid 5% lycra. 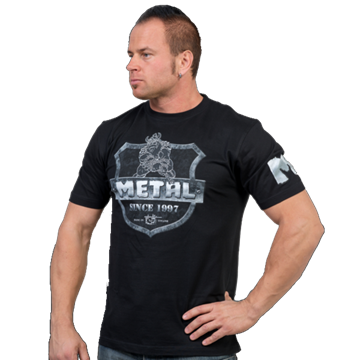 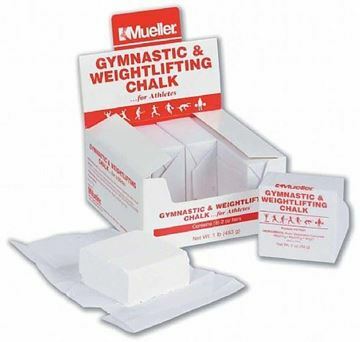 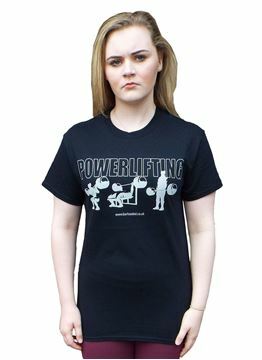 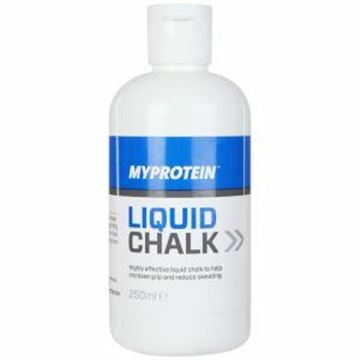 Protect your shins from bar chafing during those heavy deadlift sessions. 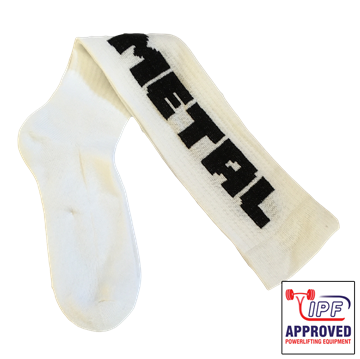 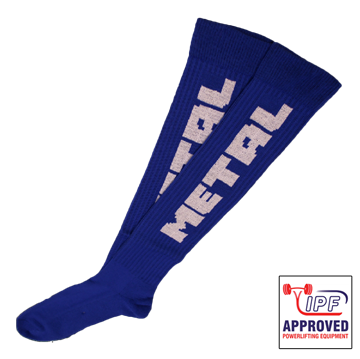 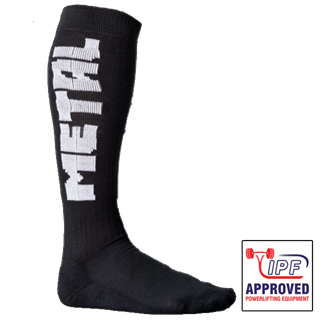 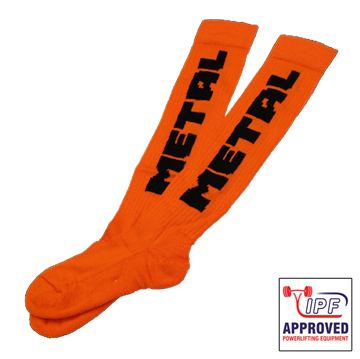 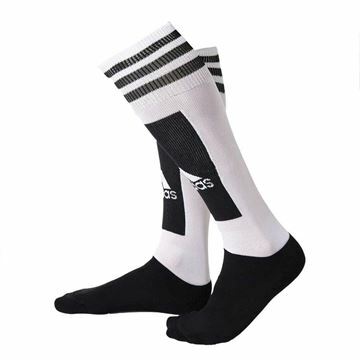 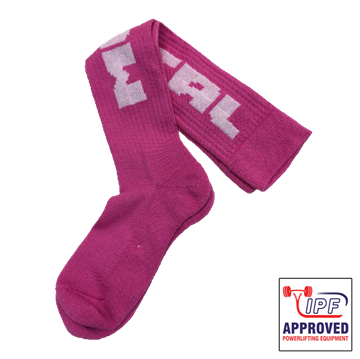 Note: These socks have a close knit to keep them tight on your calves and minimise any bar drag, if you have calves bigger than your knee measurement we suggest you order one size up or consider the more accommodating Addidas weightlifing socks. 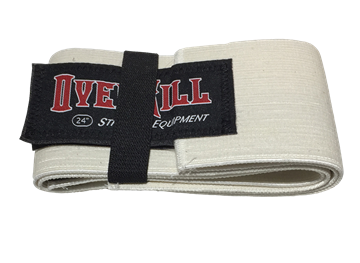 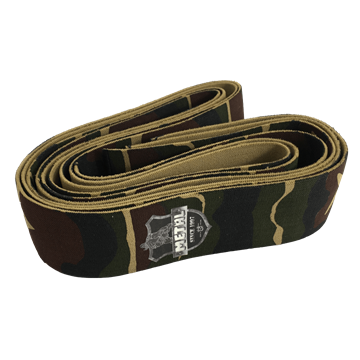 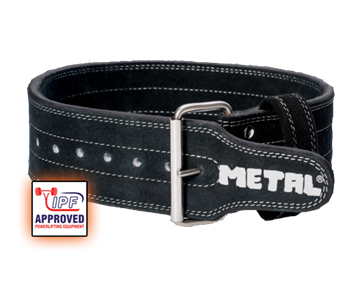 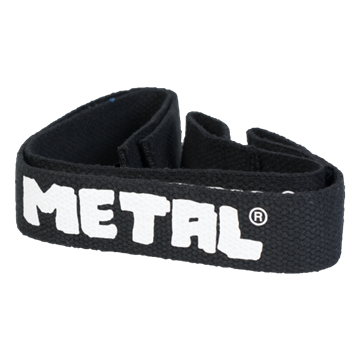 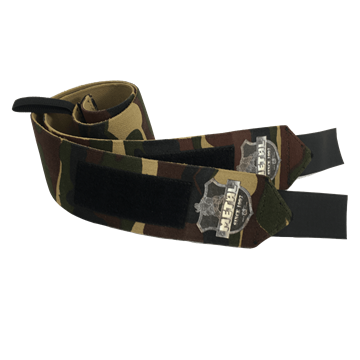 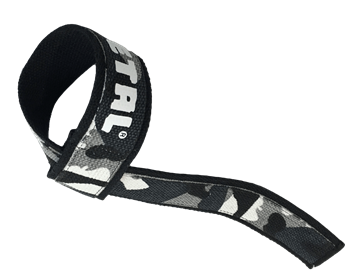 High quality Canvas Lifting straps from Metal, black colour.